Chiara Magri: The objective of this course is to train creators and professionals who possess a general knowledge and understanding of the whole creation process of animated films, and to have basic professional skills in the main pre-production and production areas. Another teaching aim is to develop the creative talents of each student, and great emphasis is given to animation as a medium for expression, communication and experimentation. Courses, lectures and workshops are given by industry professionals and artists from Italy and abroad. The aim of the first year is acquiring the basics of drawing for animation, film language and storytelling. Understanding the principles of animation through the practice of different 2D and stop motion techniques as well as at the awareness of animation as a powerful medium – beyond the definition of its genre. 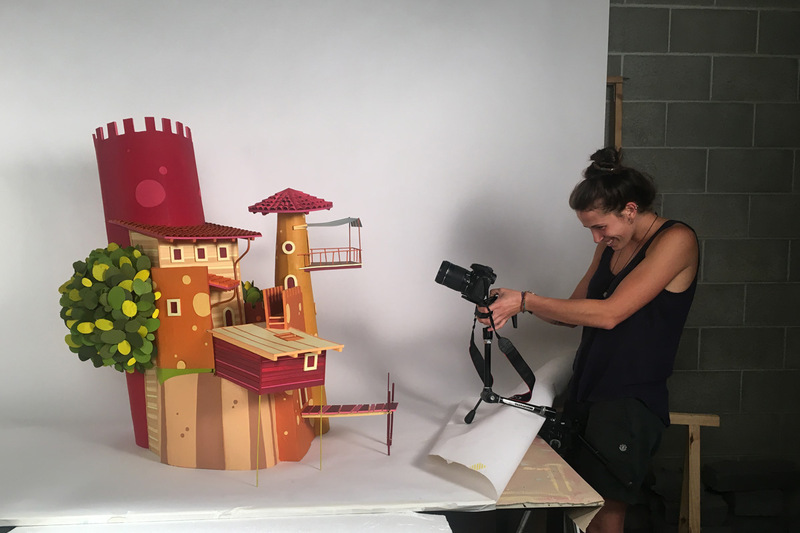 In their second year, students develop skills in storyboarding, visual concepts and character design, and they practice animation with professional tools and acquire methods for managing the process. They must choose whether to continue with 2D animation techniques or to approach 3D CGI, focusing on character animation, which involves basic aspects such as modeling, rigging, lighting and rendering. They also have workshops with a goal of experimentation for personal, innovative styles, as well as classes to prepare them for the third-year projects, including concept development, pitching presentation and film analysis. All activities of the two-year period is based on exercises and hands-on experiences, both individually or in small teams, which also may include work simulation for small productions on a commission. The third year is entirely dedicated to diploma projects – a selected number (usually 5-6) of short animation films made with different techniques, where the school strongly encourages variety of ideas, themes and styles. The production is usually carried out by teams of 2-5 students collaborating in different roles through the film-making process and usually shares the films’ direction. They have to deal with all the creative and technical phases of production, from concept to editing. However, individual production is envisaged in the case of particularly innovative and personal projects, as in the case of Donato Sansone, who has established himself in the international field of short film and music videos. Students are gradually addressed towards specific areas and roles, and they are assisted in building up their portfolios and reels, as the school arrange portfolio reviews and interviews with studio recruiters. In the quarter following the completion of the 3-year training program, they do a 3-month internship with the main animation companies in Italy. Chiara Magri: The Centro Sperimentale di Cinematografia (CSC) (English: Experimental Center for Cinematography) was established in 1935 in Rome, as a National Film School, and it depends on the Italian Ministry of Culture. The animation department, CSC Animazione, was established in Turin in 2001, with the support of the Government of the Piedmont Region. 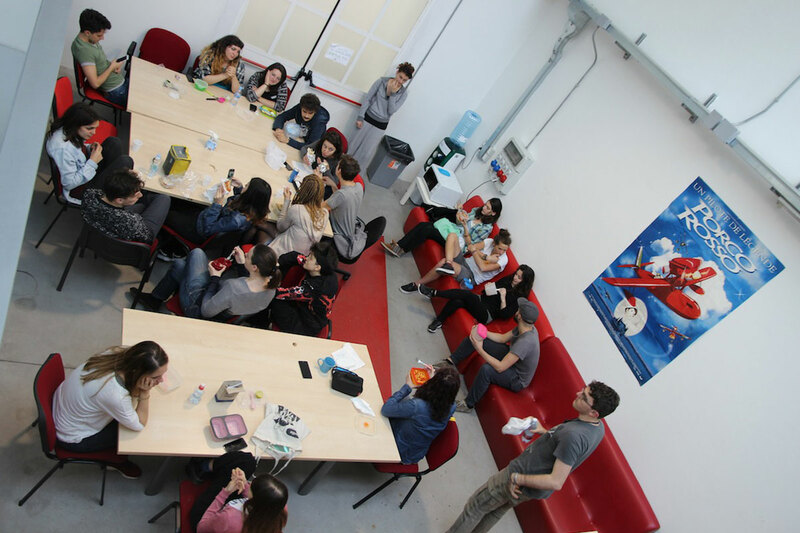 Since then, CSC Animazione has been an important point of convergence in Italy for students who look at animation, in its variety of application, as their means of expression and their artistic and professional career. The school’s philosophy is to keep a positive tension and relationship between training for industrial production and the nurturing of personal talent, supporting experimentation and development of innovative idea and styles. 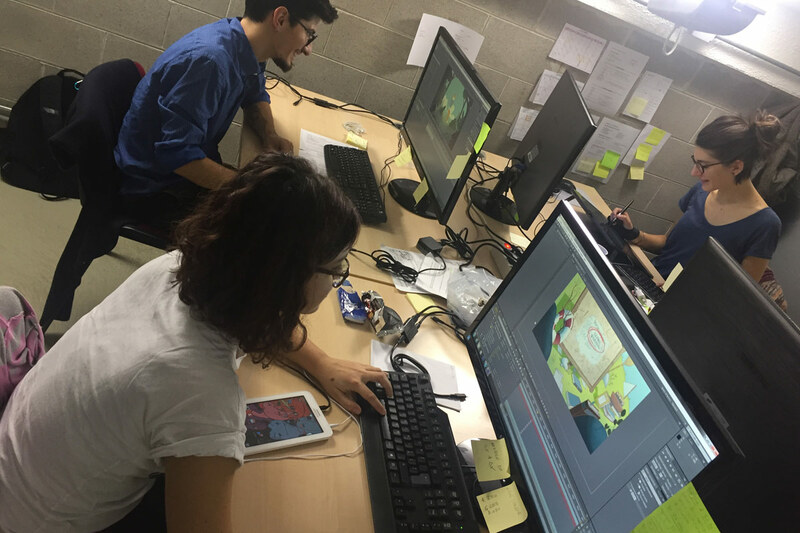 In Italy, our school is the only training institution specifically focused on animation that benefits entirely from public funding, from the Ministry of Culture and from the Piedmont Region. It is notable that the investments our Region is putting into supports local animation production. This allows the school to ask for a quite competitive tuition fee, attracting the best young talents from all the Italian regions and, in smaller numbers, from non-European countries. We regularly present students’ work at international festivals of animation. In 2017, the Emile Awards, European Animation Awards, for Best Student Film went to our diploma film Merlot. As part of the annual Silver Ribbons Awards organized by SNGCI (the Italian National Film Journalists Union), which is recognized as the oldest awards for Italian cinema, our school received a “Silver Short” for our student animated film production in 2008 and 2015. Other strengths are the immersive experiences in the gathering and very informal atmosphere of a small school made possible by very passionate teachers and students, as well as being located in Piedmont, an area of great artistic and naturalistic interest still unspoiled by mass tourism. Chiara Magri: We look for strong motivation, open-mindedness, self-discipline, a good grounding in drawing skills, a flair for visual storytelling and a very basic knowledge of graphics-design software. Pre-requisites are ages 19 to 27 and a high-school diploma, though a BA degree is preferred. Admissions are made through a selection process that involves 3 phases: submission of the application with a motivation letter and portfolio, an interview with portfolio/reel presentation, and finally a 1-week preliminary seminar, which includes practical tests and interviews with teachers. Chiara Magri: We want them to get professional skills high enough to either be able to start their career right after the school, or to continue their education in Europe, or to develop their personal projects. The industrial production of animation in Italy sees a marked development since the early 2000s, thanks to the growing production carried out by the national broadcaster RAI for its children’s channels. In the production of features, which is so far rather limited, new players are coming to animation, also thanks to films such as the Art of Happiness and Cinderella the Cat that received great critical approval. The documentary sector is also showing considerable interest. Still, the most job opportunities are in the production of TV series for children (mostly in the pre-production and production control phases) and, to a lesser extent, in the areas of communication/advertising, publishing and video games. Many alumni – about 40% – choose to have work experience in Europe, mainly in French, British, Irish and German studios. In 2017, with the support of the Film Commission Torino Piemonte, the school started an “incubator” initiative for start-ups: currently a group of 8 former students are being hosted and helped in setting up their own company. Some alumni are instead addressed to other European schools that offer specialization programs for professional roles, or sometimes for the development of their own projects – as in the recent case of Martina Scarpelli’s Egg, which was awarded for the “Jean-Luc Xiberras” Award for a First Film in Annecy 2018.